It'd be hard for iOS users to forget that the upcoming "Appocalypse" is set to nullify any remaining compatibility with 32-bit mobile applications. For those who weren't aware, a huge number of games and apps, particularly older ones, will basically be swept under the rug and relegated to the pages of the history books by the time iOS makes its move to 64-bit architecture. 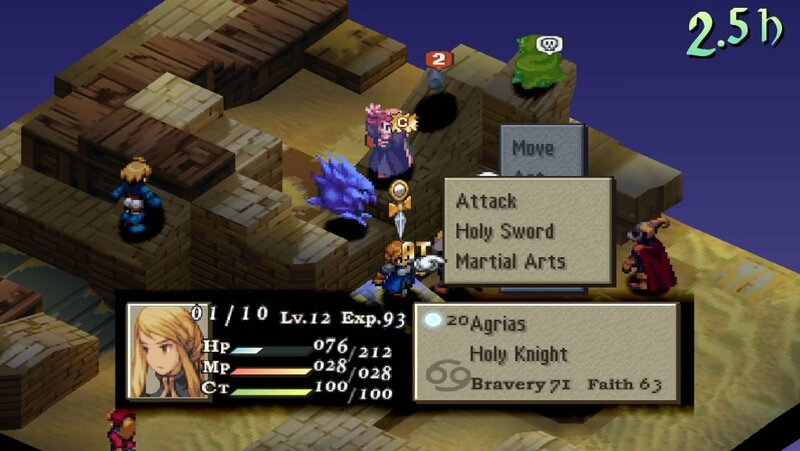 Thankfully, however, Square Enix's iconic tactical RPG Final Fantasy Tactics will not be among the ranks of such forgotten software, as a new update posted to the game's app store listing states that a 64-bit update is forthcoming. "When downloading the app, a message currently appears stating that "FFT WotL" requires an update. We are working on an update which will be available in September. We apologize for the inconvenience, and we thank you for your patience and understanding." Though it isn't specifically referenced, the required update in question is the one that crops up any time users try to run or install 32-bit apps on modern iOS devices. iOS 11 will only allow for the installation and use of 64-bit applications, and before the latest version of the mobile operating system makes its debut, most big-name developers are updating their apps and games to work with the new software. This is great news for Square Enix fans as well as fans of classic gaming: Final Fantasy Tactics, which originally released for the PlayStation back in 1997, is known as one of the most iconic TRPGs of all time. Even though its politically-charged storyline might have turned off some, the game made up for it with beautiful sprite- and 3D-based graphics in addition to staggering strategic depth. The iOS option also includes all of the bonuses released with the PlayStation Portable War of the Lions edition of the game, including new characters, cutscenes, items, jobs, and enhanced high-resolution graphics. In any case, mobile players who've been on the fence about picking up Final Fantasy Tactics for iOS can forget their fears of incompatibility. Even better, the game can currently be picked up at the incredibly-low price of just $5.99. Looking for more great iOS games? We've got a host of our favorite Apple-based titles featured over on Modojo's list of the Best iOS Games.